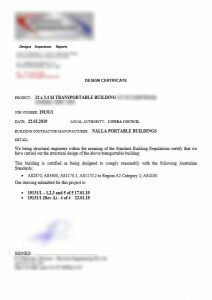 At Nalla Portable Buildings, we include FREE Professional Engineering Drawings and an Engineer Design Certificate with the purchase of every Portable Building, Granny Flat and Transportable Home, at no extra cost. When you are looking at purchasing a Granny Flat, Portable Building or Transportable Home, it is essential to ensure that it has been built to the correct BCA (Building Codes of Australia) requirements. All these specifications must be drawn up by a Professionally Certified Engineer and comply with all BCA standards. Unlike a conventional ‘bricks and mortar’ building, that is built onsite. All our Portable Granny Flats, Transportable Manufactured Homes are manufactured in-house, at our factory. Because of this, they must be designed to be strong and durable enough to withstand the forces of being lifted on and off a truck and when being moved. All our Portable Buildings are correctly engineered to be structurally sound and durable. Our Professionally Certified Engineers are highly experienced with the engineering designs and specifications required to ensure all our Engineering Drawings and Design Certificates are correct and compliant with BCA standards. 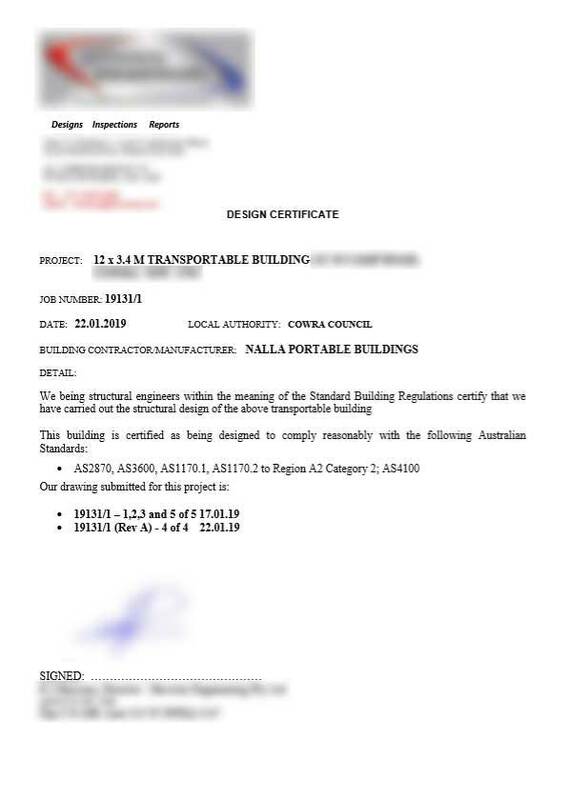 All Professional Engineering Drawings must include a Design Certificate with your delivery address, Council Shire where building will be installed, all the Australian standards that your Granny Flat, Transportable Home or Portable Building comes under. It must also be signed by a Certified Engineer. Our Engineers draw up elevations of your building to showing the locations of all the selected window and door placements, roof slope and external material used, specific to your requirements. The drawings will then cover the base, flooring and frame components and building specifications, along with all the bracings that will be added to the steel base frame to ensure it is structurally sound. 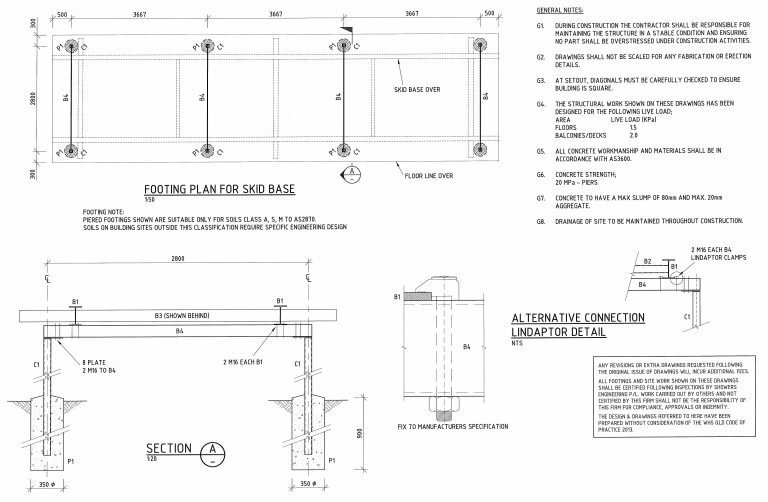 The drawings will also show the cuts made in the base and the lifting components that are manufactured into every Portable Building to enable them to be lifted on and off a truck for any Delivery and Installation purpose. Engineering Drawings will also show all footings specifications required for your particular Portable Building, in terms of what footings to be installed for your building to sit on.